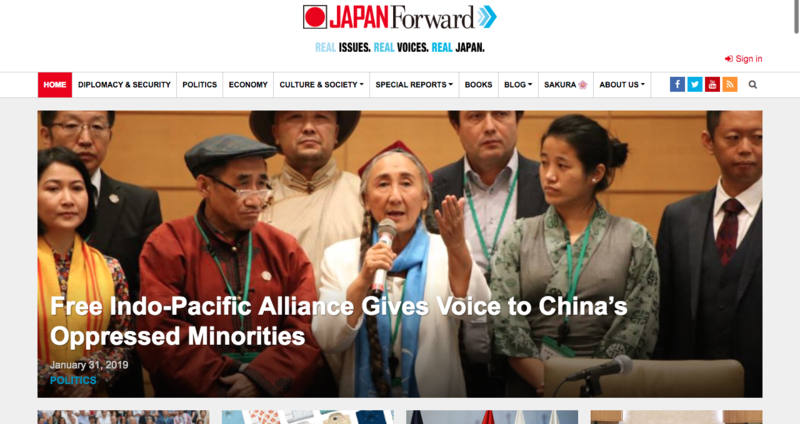 “JAPAN Forward” reported about us. “FIPA — the Free Indo-Pacific Alliance — has begun giving persecuted minorities in the People’s Republic of China (PRC) a chance to tell the world their stories in their own words, and to bring together free peoples to counter Chinese aggression. I became a member of the Free Indo-Pacific Alliance Preparatory Committee.